Exclusive skin care. Perfect radiance. 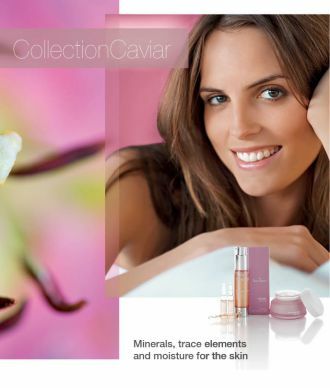 This exclusive range with the luxury active ingredient caviar extract has the primary aim of supplying skin intensively with proteins, minerals, trace elements and moisture. In its modern formulation with pure, original sea source water the products become a real supply unit of essential substances that the skin needs to form collagen and maintain the stability of connective tissue. As perfect resilience, intact cell metabolism and a carefully coordinated moisture balance is like a protective cocoon that envelops the skin giving it firmness and vitality.